The aim of these gentle caring meditations are to allow you to let go of all emotions, thoughts, feelings and negative experiences that are holding you back from realising your true potential. Use by yourself or with friends. "Set Yourself Free" consists of two CD's and a small colour booklet. The first CD is instrumental with beautiful sounds of Crystal Bowls, Tibetan bell, Elfin Chimes, Medicine Drum and Tuning Forks. 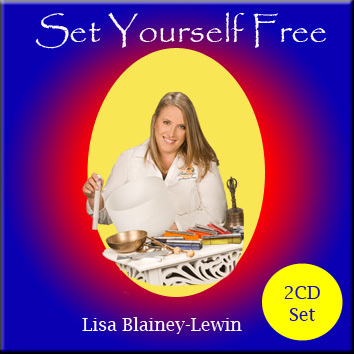 The second CD combines the music with three guided meditations and a track for newcomers to meditation on breathing and the basics. Use with the Essential Oils 'Feeling Kit" by Young Living for maximum benefit. 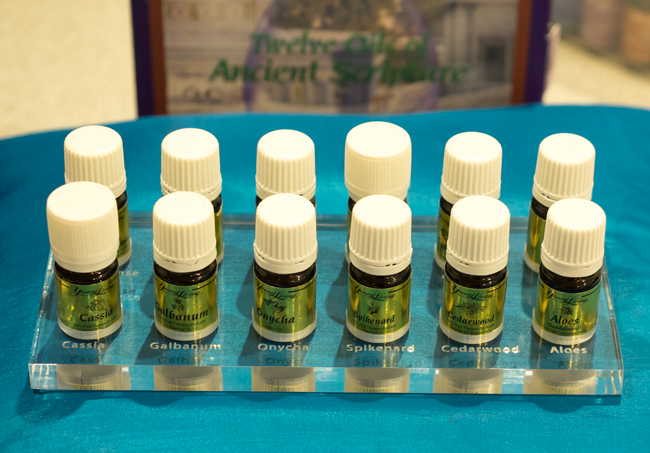 There is a special way and order to use the Twelve Oils Of Ancient Scripture. To help you to have them in the correct order this lovely clear perspex sheet with 12 oil holders with there names etched in front of each holder is designed to make it easy and usable in the correct order as you apply each of the oils to your body. I personally anoint the bottom of my feet in the order presented each morning to assist with a nice clear thinking day.